The Pull vol 2: Home is Where the Monsters Are is live on Amazon Kindle today! This book was started in 1998, 4 years after I began work on The Pull series. This has always been my favorite entry in the saga and its even more jam packed with action, mystery and excitement than the first one. Epic battles between colorful heroes? Check. A monster so scary even fearless canine warrior Blitz runs away from it? Check. Magic? Romance? Motorcycle chases? It’s got all that and a heck of a lot more. Pick up a copy of Home is Where the Monsters Are (only $2.99) and join in on the fun. 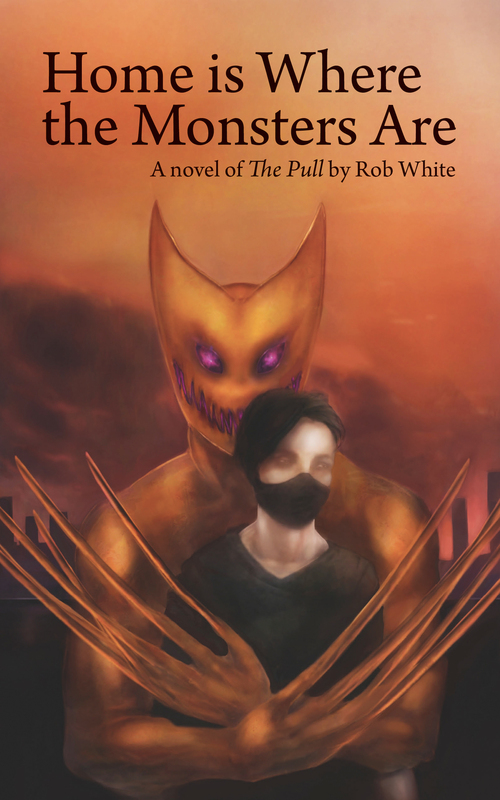 AND between now and Halloween, the first book in the series, The Pull, is available for download ABSOLUTELY FREE!!! You have no excuse not to get in on this action! Unless you don’t have a Kindle or Kindle-capable device, in which case you have a perfectly valid reason. Paperback coming later this week! Yeah! Here are the links to both Home is Where the Monsters Are and The Pull! Home is Where the Monsters Are on Amazon Kindle!